When your baby takes those first tentative steps, I think it's one of those moments you never forget. 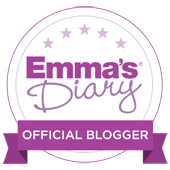 Throughout those first couple of years there are so many milestones we eagerly wait for them to reach- the first smile, the first gurgle, the first time they roll over, or begin to drag themselves along the floor or do a bum shuffle. There's always the first moment they do something- you're never quite sure if they did it 'for real' or whether it was just fluke, and if they do it again, you'll have a little mini celebration of their new skill. 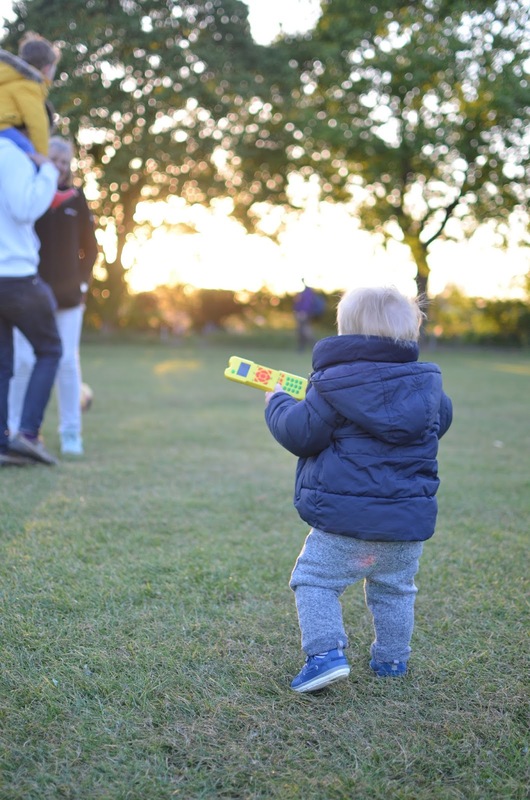 I think that walking, whether they're a relatively early walker or prefer to take their time with it, is undoubtedly one of the most anticipated and exciting milestones. It's also one of the most bittersweet ones too. 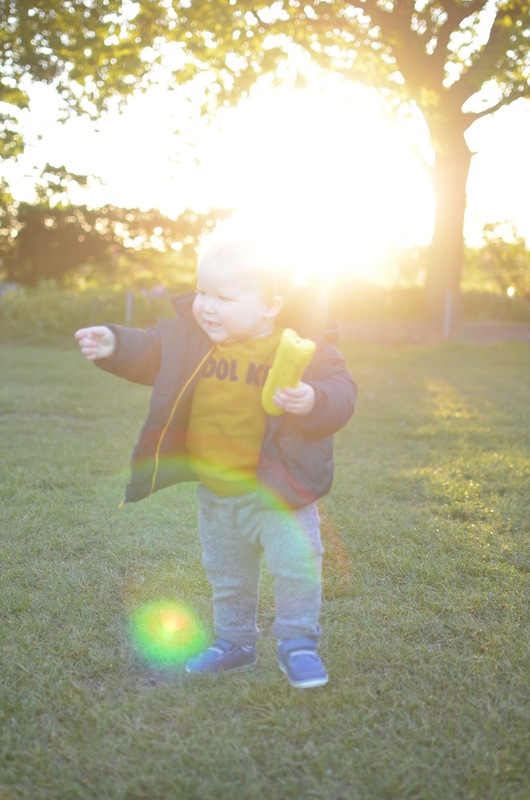 It's such an exciting moment when they take those first steps but also a reminder that the baby days are fading and toddlerhood is very much on the horizon. 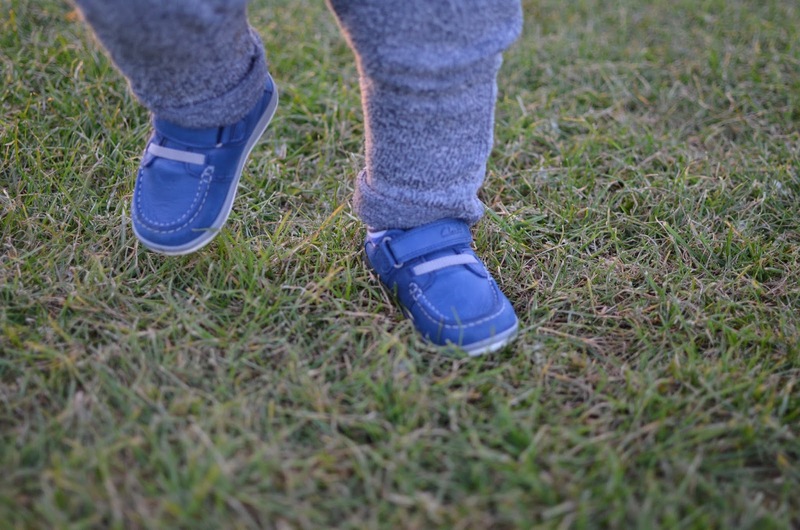 It's been a few weeks now since our baby boy took his first tentative steps. Bizarrely I haven't really documented his first steps on my blog at all- not for any particular reason, just because I've been so busy lately and I'm not as good at documenting milestones as I used to be with LO. I wrote the day proudly on my calendar in the kitchen (just because I knew I'd forget to update his baby journal). 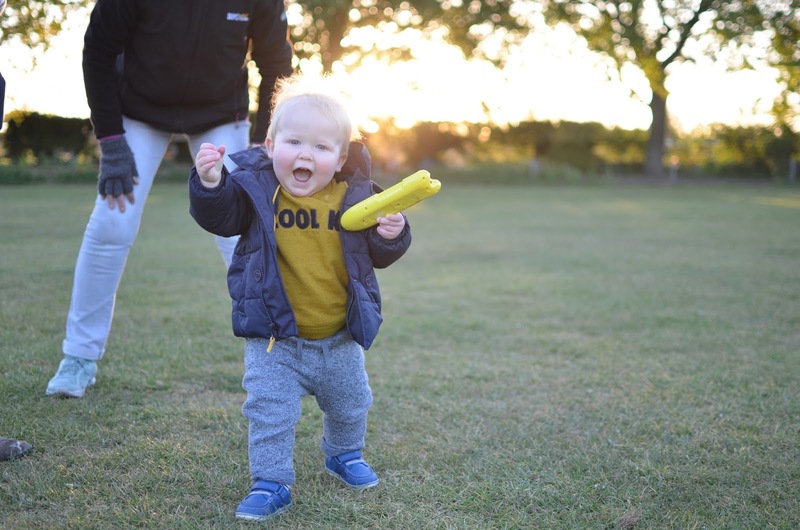 Bizarrely he took his first steps exactly the same time as LO did, at just over 15 months. 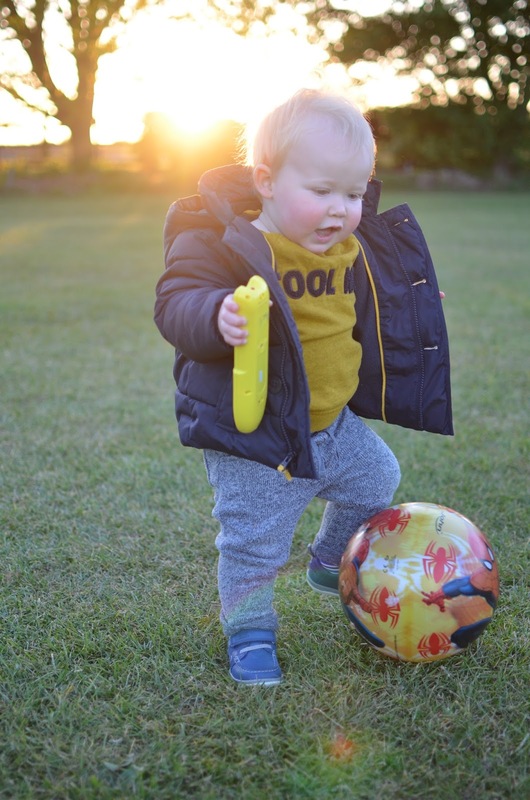 He also spent the same amount of time taking his time to carefully practise his new found skill around the house, and then at 16 months, he officially began walking and using it as his chosen mode of transportation. It's still such a novelty to watch him toddle about the house, change direction and waddle about with his arms up in the air. He's so much less frustrated and has suddenly discovered that sleep is really quite a wonderful thing (finally!). It's also been truly special to watch LO's reaction to his baby brother walking. 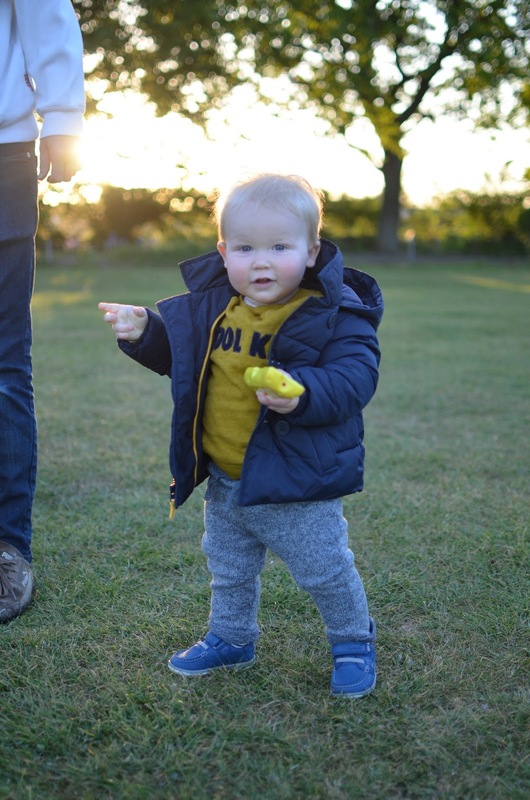 He has definitely had a helping hand in Little L learning to walk. He's been nothing but kind and encouraging, beckoning him over to him, sitting or crouching with his arms outstretched, ready to catch him should he fall. And that's made this milestone even more special. Knowing that now, these two can really enjoy playing together properly, they can get up to all sorts of mischief and adventures in the garden. They can spend hours chasing each other around the cricket pitch or kick a ball to each other. I can't wait for this next chapter in their sibling adventure, I think it's going to be so special to watch. On Friday, when Little L turned 16 months, I decided it was high time to go and buy him some shoes. He's been resisting sitting in the pushchair and figured he was going to need shoes at some point. I'd been to get his feet measured at Clarks 3 or 4 times already, but never purchased any shoes. He'd worn LO's first pre-walker cruisers a couple of months ago when he was crawling (second child and all that, I know the feeling as I used to have to wear all my brother's boy clothes hand me downs). It also turned out they were now a size too small. So yesterday my mum, LO and I took Little L to get his first shoes. We decided to skip the pre-walkers and go straight for the proper walker shoes. We chose a little pair of blue leather boat shoes and he took to them straight away, proudly plodding around the shop as if he'd been walking for years. LO helped measure his feet and choose his shoes and the kind lady even let LO and Little L go behind the till, sell me the shoes and operate the credit card machine. Again, getting your first shoes is such a big important milestone and one which I think as a parent you remember for a very long time. Sadly they don't do they photo and booklet anymore, but I managed to get a few photos. We then took the boys for a little wander around the grounds of the castle in the town to let Little L try out his new shoes outside. It was a really sweet moment watching the boys walk around side by side together for the first time. I managed to capture a photo on my iPhone (which I shared on my Instagram) and it's one of my new favourite photos of them. 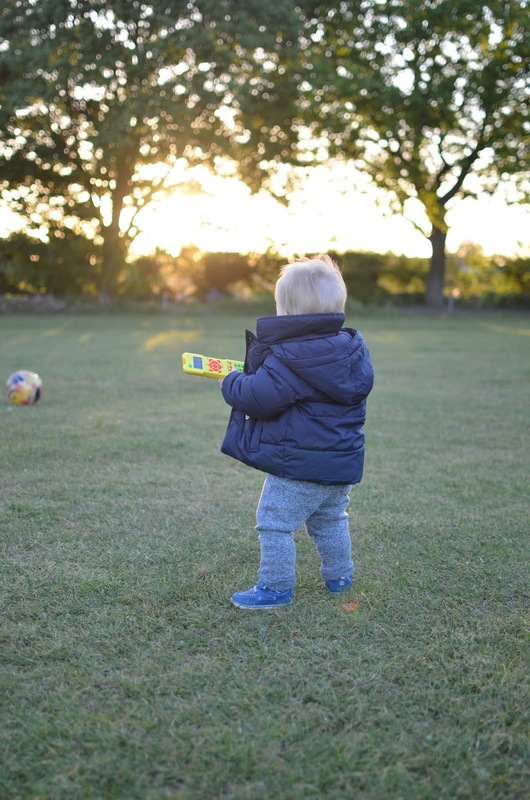 We also went for a little evening walk around the cricket pitch in our village and a little photoshoot too. It was near on impossible getting many photos as he was up and down and all over the place, and of course so tired from his exciting day or walking about. I know in a few short weeks it will feel like he's been walking forever and the days of crawling about the house will fade to an almost distant memory (even writing that gives me tears in my eyes) and the seeing him walk will very much become an ordinary moment in our lives, but for now, we'll all cheer him on, catch him with open arms when he falls and celebrate in this highly exciting milestone together. 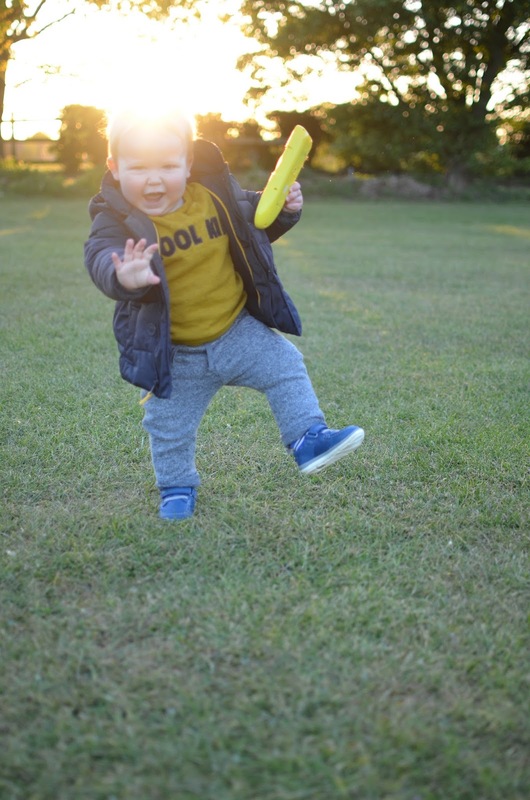 Because whether its your first, second third or even tenth child, I think seeing them reach there milestones will always be the most amazing thing to see. He looks thrilled to bits with his new shoes! I love it when they just start walking. Those wobbly little steps are just adorable! Oh he looks so proud of his shoes, and suddenly so grown up!! Seeing them learn to walk is such a privilege. With Lottie it fascinated me as she kind of put herself on a training programme. She kept counting how long she could stand for from 10 to 12 months and only took her 1st steps at 12 months once she knew she could balance for a while. She did it with a big audience at football training and I was so honoured to be right there to capture the moment on video and camera. Then the all exciting trip to Clarks to get the new shoes. You're right, no matter how many kids you have it is still so very special. 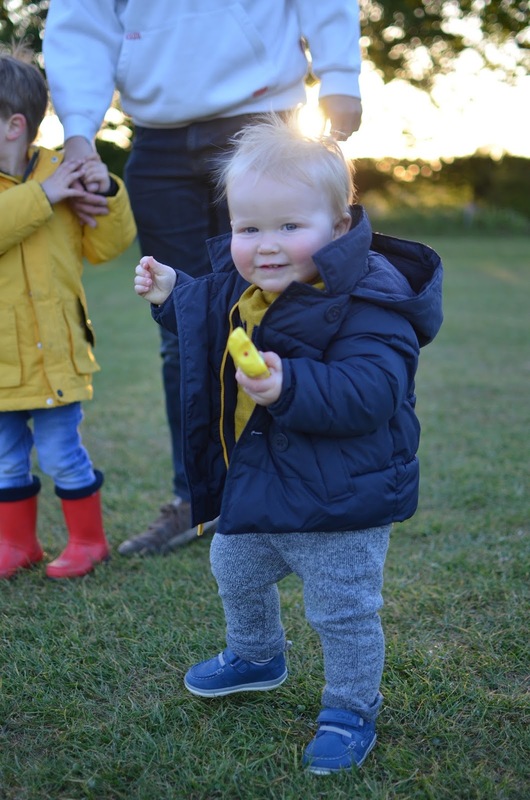 Lovely photos, I love that little nervous wobble when they start walking!